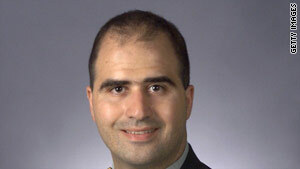 Maj. Nidal Hasan will soon be moved closer to Fort Hood, Texas, where he is suspected of shooting 13 people to death. Washington (CNN) -- The Army is a big step closer to moving Fort Hood shooting suspect Maj. Nidal Hasan to a jail just 19 miles from the scene of the November massacre that left 13 people dead. Bell County announced Monday it finalized a deal that will have the Army pay the costs of extra security and medical care for Hasan inside the Bell County Jail. Hasan's civilian attorney, John Galligan, told CNN on Monday he anticipates "the move will happen shortly." Bell County Sheriff Dan Smith released a statement confirming the agreement to house Hasan if he is moved from Brooke Army Medical Center in San Antonio, Texas. The Bell County jail has for years contracted to detain Fort Hood soldiers who are in trouble with the law. But this case required a special amendment to the Army's contract with the Bell County jail. "The extraordinary circumstances surrounding this inmate require unusual and extraordinary security measures. These issues could not have been addressed without this contract amendment," the sheriff said in a statement. The final decision about moving Hasan will be made by Col. Morgan Lamb, the special court-martial convening authority in the shooting case. He will make that based on recommendations from Hasan's doctors at BAMC, according to Margaret Brewster, a spokeswoman at Fort Hood. Galligan said that if Hasan is moved, he'll ask a magistrate to reconsider his confinement. Galligan said Hasan belongs in a hospital, not a jail. "Maj. Hasan can't even go to the bathroom by himself; he is not a threat to anyone," Galligan said. Hasan has been paralyzed from the chest down since the shooting at the base in November. Hasan was moved to BAMC shortly after the shooting. Galligan has been asking for weeks for his client to be moved closer to Fort Hood to make it easier for him to consult with Hasan about the case. San Antonio is roughly 150 miles from Fort Hood and Galligan's office; the Bell County jail is about 20 miles away. Hasan, a U.S. Army psychiatrist, is accused of killing 13 people and injuring several others in the November 5 shooting at the Fort Hood Army Post near Killeen. He has not pleaded to the charges. He is due for an Article 32 hearing on June 1. The hearing is similar to a civilian grand jury hearing, except that it's open to the public and Hasan attorney's will be allowed present evidence on his clients behalf.